To manage multiple social media platforms, you need to be somewhat of an entrepreneurial octopus. In most cases, each social media platform has it’s own scheduling function, however, that can still result in visiting up to 6 different websites to create each schedule. Social media schedulers offer the ability to schedule all of your various social media posts using one piece of software so that you don’t need to visit multiple sites each with different processes. Using one piece of software is beneficial to creating a ‘flow’ of work if you can stay in one place and not have to negotiate different software frameworks. In this post, we’re going to look at 5 possible options that are free to use. Most free products do have limitations that can be removed if you pay a monthly or annual fee. 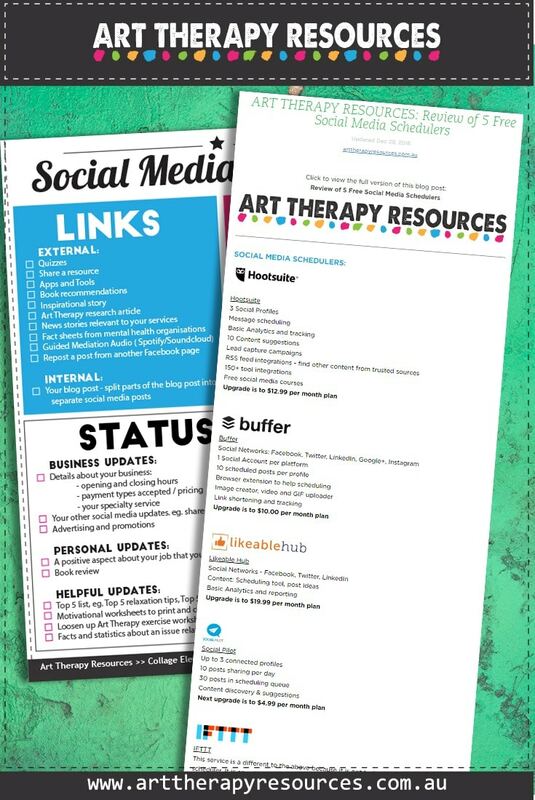 While your art therapy practice is growing, these free options should cover the basics of what you need to improve your social media management. This service is different to the above options because it is not technically a social media scheduler. It is an automation tool that allows your software, tools and apps to communicate with each other. The name is an abbreviation for If This Then That. For eg, IF I post an article to my blog, THEN, share it to my Facebook Page). To use the service, you set up a recipe which describes what the trigger is (a post to my blog) and then what the subsequent action is (share to my Facebook page). You can create your own recipes or use any of the thousands that other users have created and are available for public use. The options are endless and not only include connecting social media accounts, but also can incorporate tools you use for your home and health. Included below are some helpful articles on how to get the most of IFTTT. Even if you do choose another social media scheduler for your social media posts, IFTTT can still help you in creating your content to schedule. The key thing to remember with IFTTT is that it is not scheduled based but instead trigger based. This is all great advice but also very broad. I find the auditing, goal setting, targeting and evaluating parts are fairly easy to complete. Creating a plan is where it becomes difficult because you are required to come up with definitive action beyond your general goals. From these categories, you can then start to brainstorm post ideas to create a social media posting plan. I recommend starting with only one month which will be your test month. Based on the results from your first month, you can then adjust your strategy and apply it to the rest of the year. 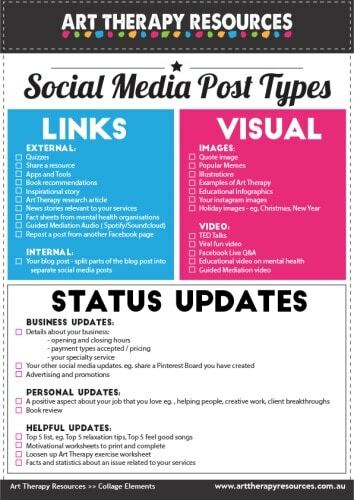 Included in this post is a social media post checklist to download. The download contains over 30 specific post suggestions that fall within the 3 main categories listed above. I wouldn’t recommend that you do all 30+ post types as this involves a substantial amount of work to create. I would suggest using the suggestions that interest you the most and rotate them regularly. I’ve included an example below of a typical week of posts. You would then use the same structure each week but just change the content. The example below is based on a 5 day week posting schedule and focuses on using 11 different post types from the 30+ listed on the free download. TIP: Use Twitter to repost links to all of your other content. Twitter is a limited platform for both visual and reading content, so simple links to your other content are suitable. The above schedule is a fairly basic schedule but it ensures all of your social media platforms will have new content posted every day. The total amount of pieces of content above is 25, however through reposting, and the use of IFTTT, you won’t need to individually create 25 pieces of content. In the above example, you could create about 10 pieces of content and strategically share all or parts of the content amongst all platforms. Need help with creating your social media plan? 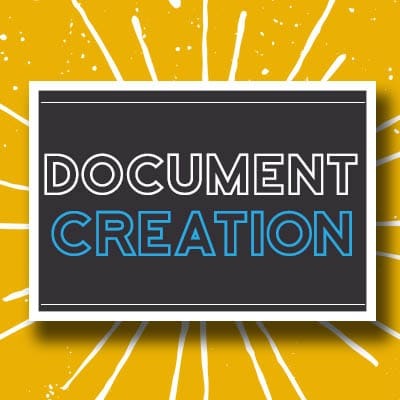 In these documents, we design the document and we also complete the content for you. For example, if you would like blog posts written, we provide the completed blog post based on your topic. This option involves us designing the document only. We then provide the document to you and you complete the content within the document. Using the same example above of a blog post, for a template only, we would create a blog post template for you which will include the best layout for SEO. The template is then forwarded to you to use as a guide to write your blog post content. If you have specific requirements for something different not listed, please let us know and we will be happy to accommodate your needs. You can read more about this service in our store HERE.